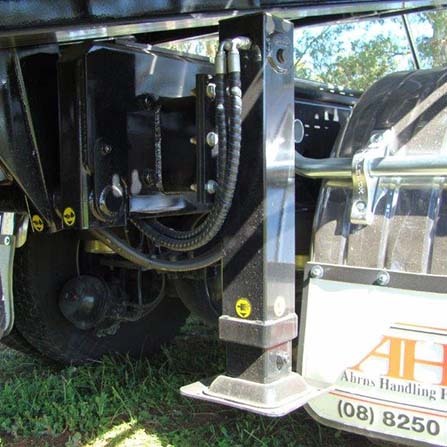 Rear Lift Cradle fitted including, Hydraulic over centre valve on all cylinders, Self-aligning return with lock in retracted position, Adjustment to suit various wheel sizes, Ratchet quick lock tie down system, 1250 kg rated capacity, Trailer Plug 24v, Removable 50mm tow ball tongue 3000 kg rated. 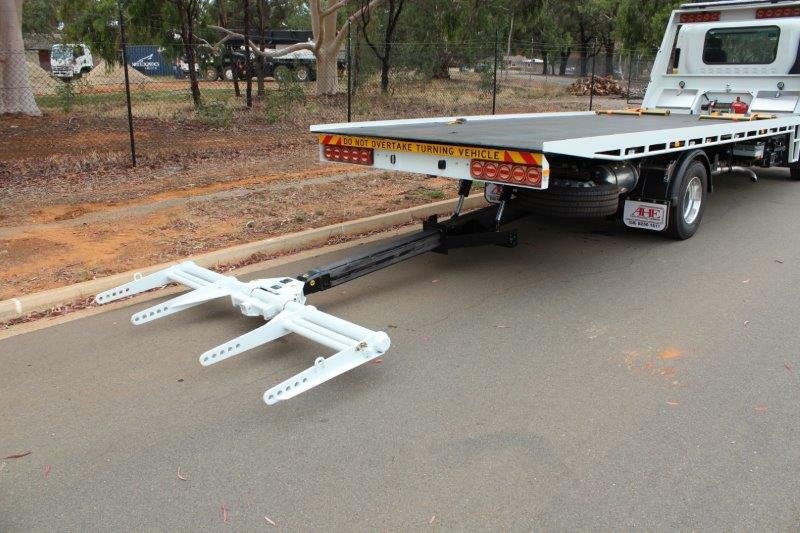 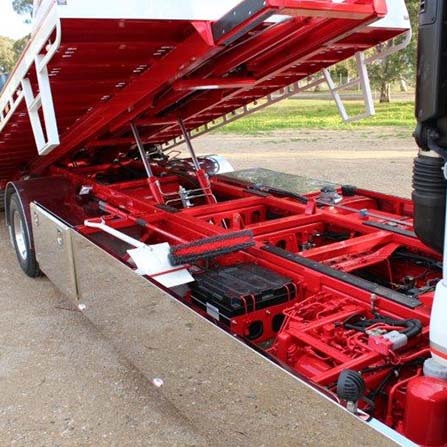 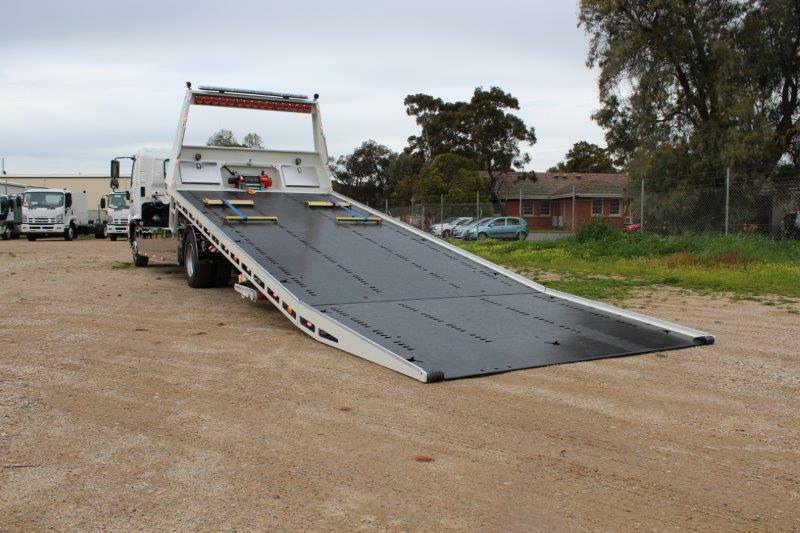 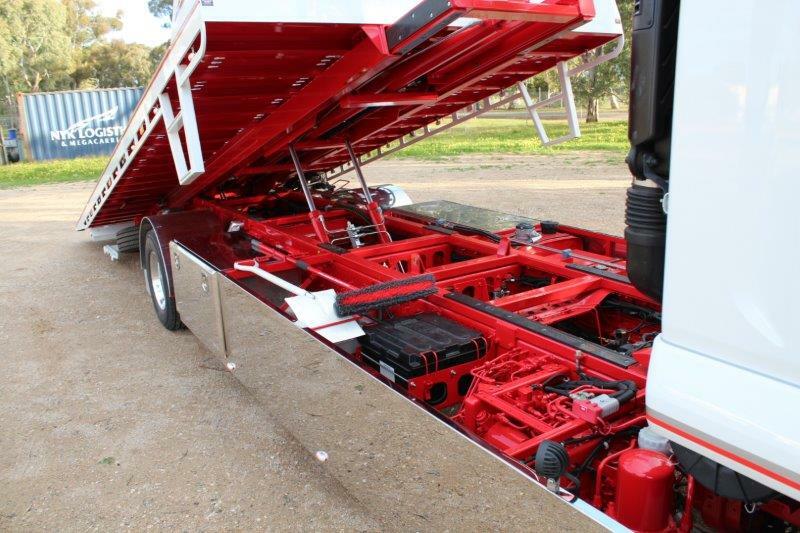 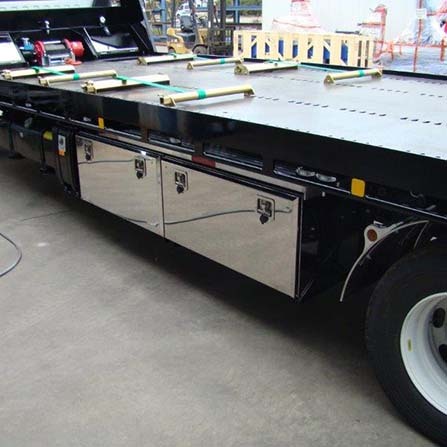 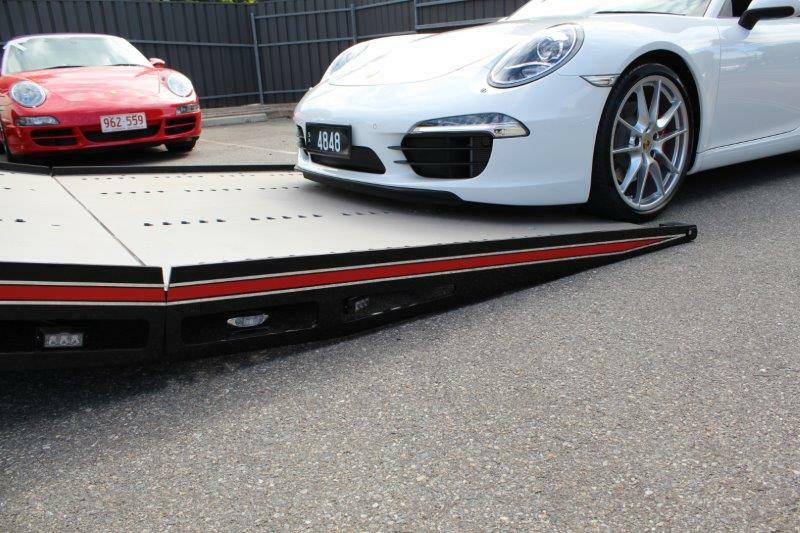 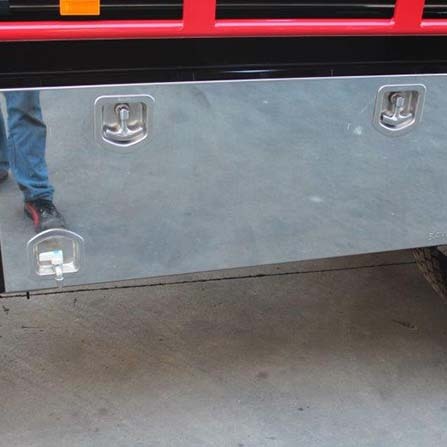 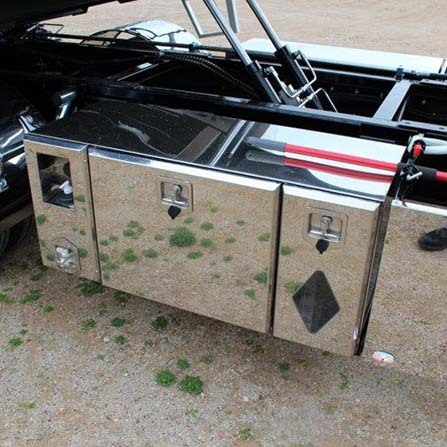 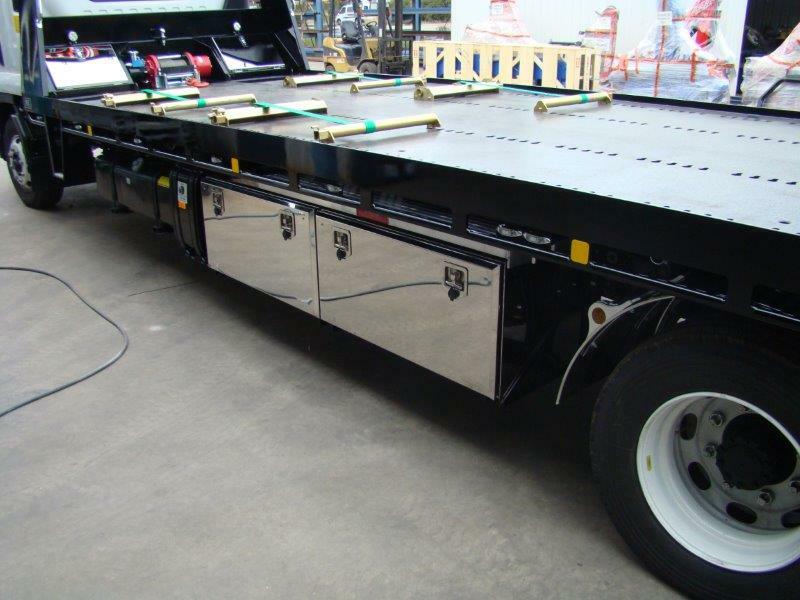 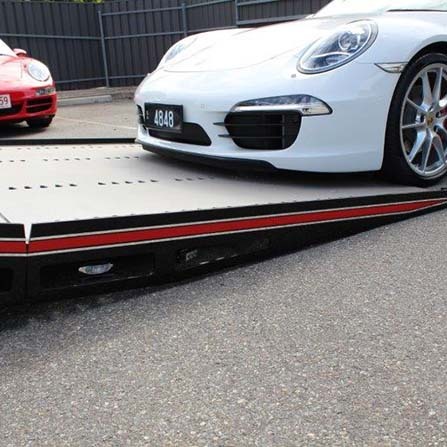 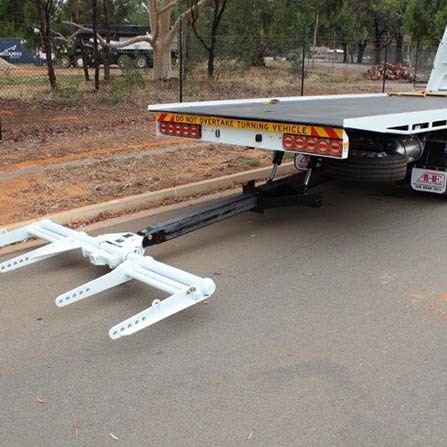 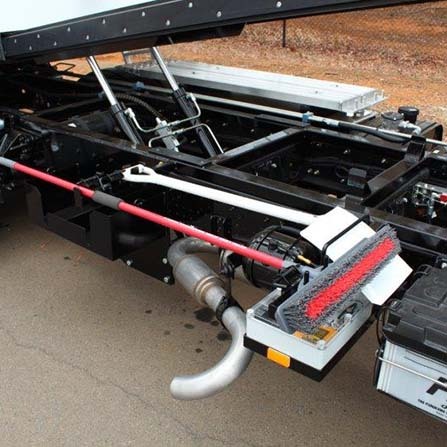 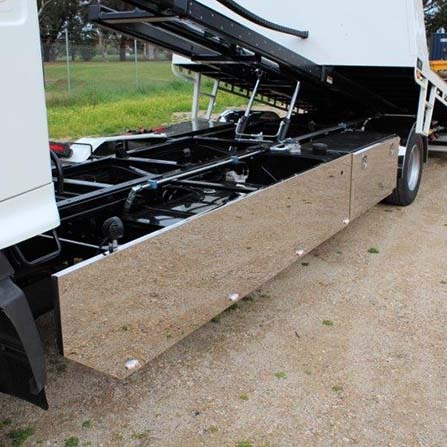 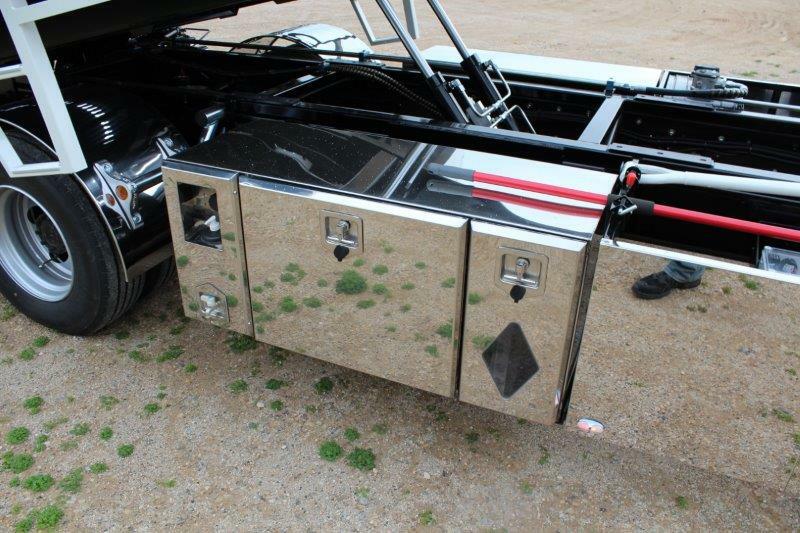 Split tray – trucks up to 14000 kg GVM, allows for less than 6 degree loading angle for all sports and prestige cars. 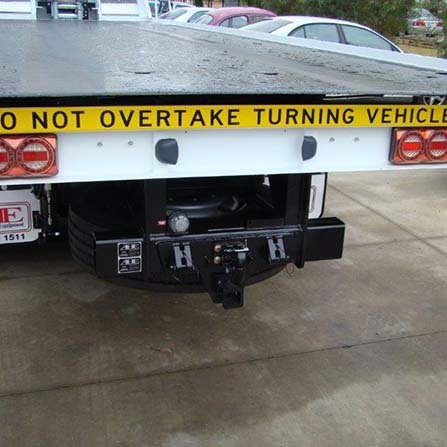 Rear Hydraulic Stabilizer Legs: mounted to rear of chassis, these stabilize the rear of the chassis and allow the tray to move independently of the legs. 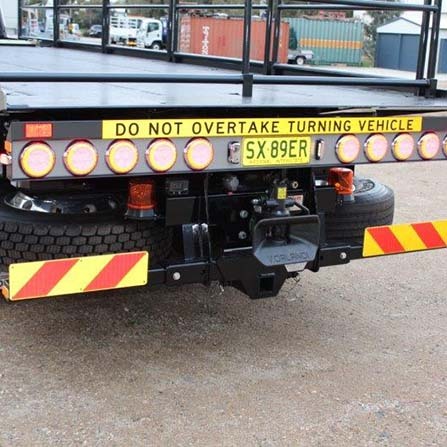 A warning light is mounted in the cab to indicate when the legs are down. 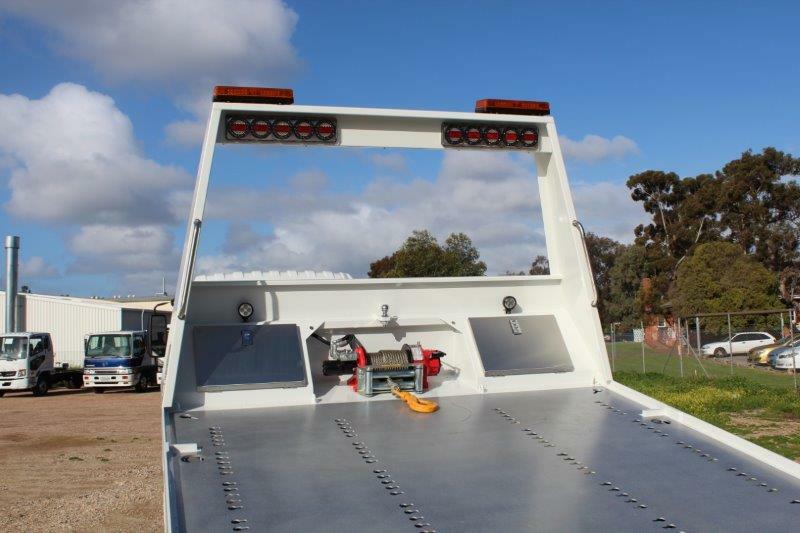 Remote control for tray including winch, tilt and slide. 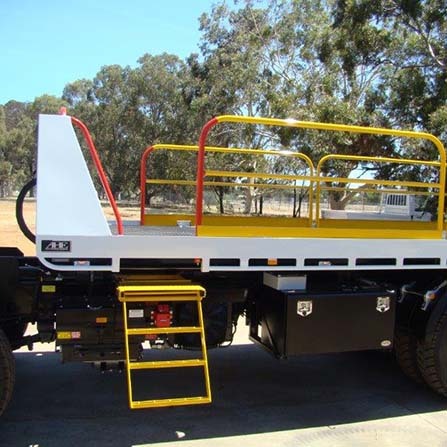 Can be customer specified to also control cradle, winch free spool, lights, stabilizer legs etc. 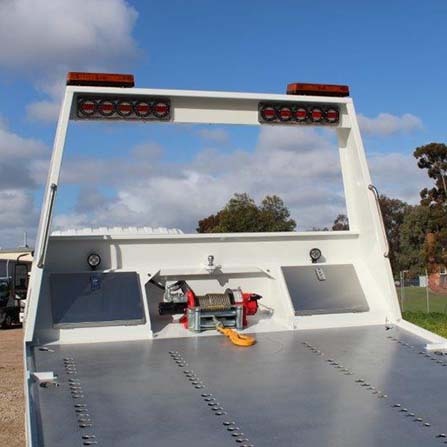 12 V reducer for trailer plug. 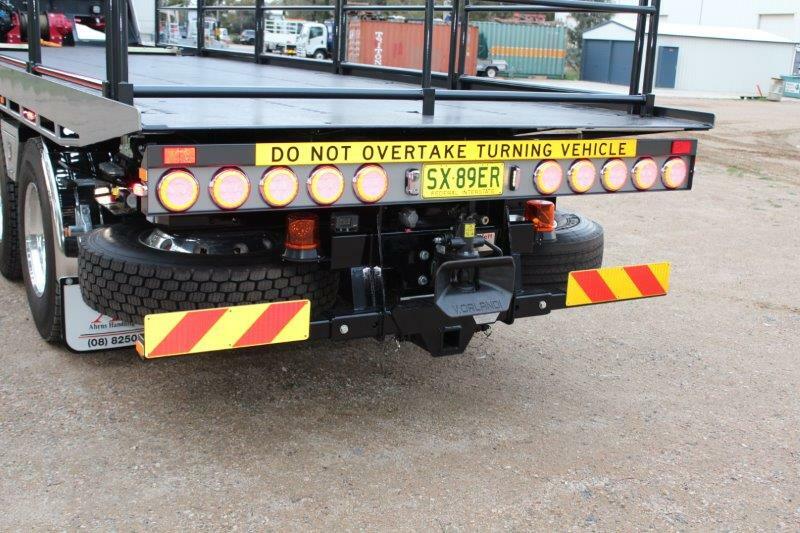 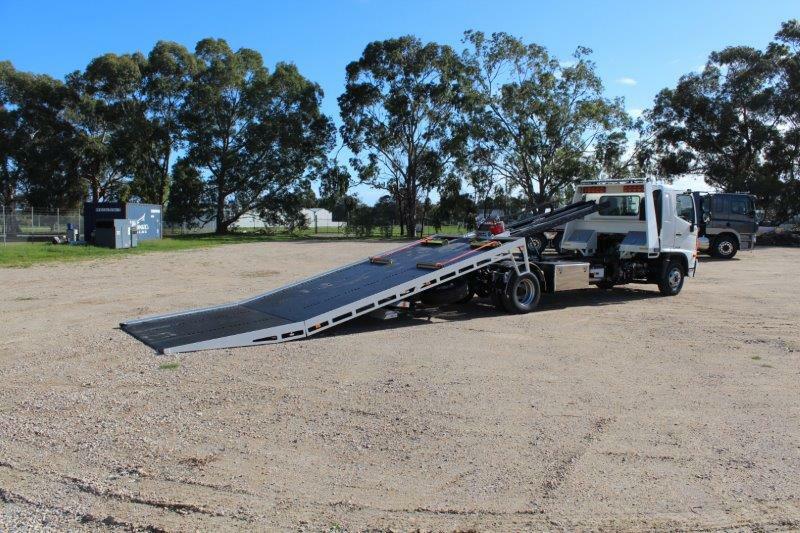 Container Pusher that slots into tray, diverts hydraulics from winch and is operated by remote control. 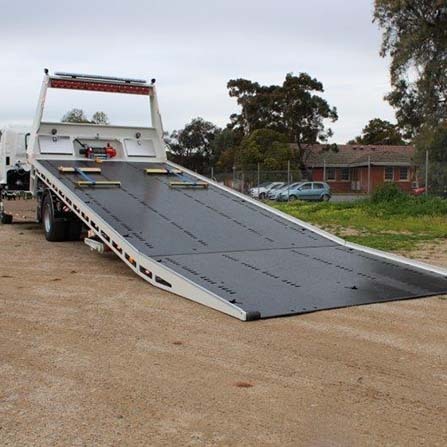 Can be used for any stubborn object that need to be slid off the tray. 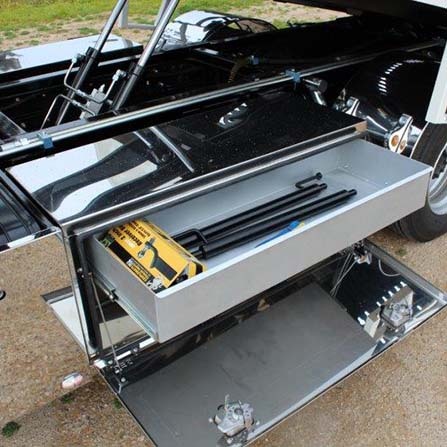 Storage on headboard when not in use. 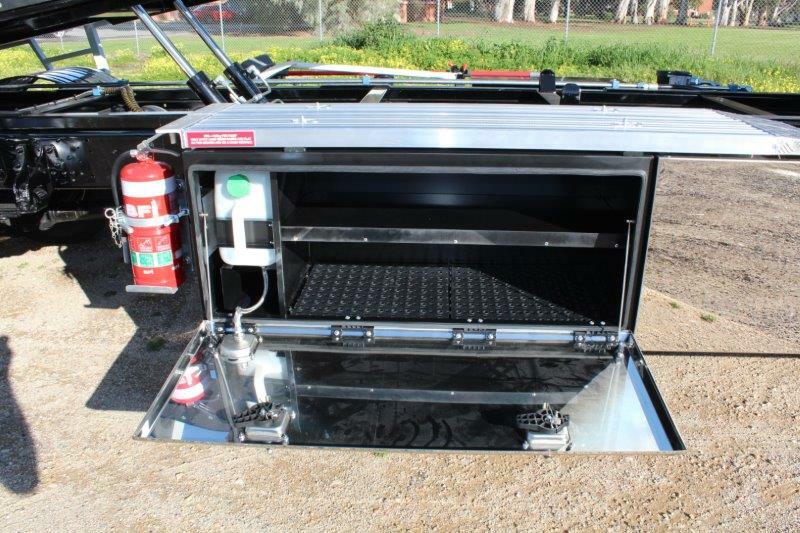 Combo toolbox, Black toolbox, 1200x500x500 with polished stainless steel lid, built in water tank and shelf. 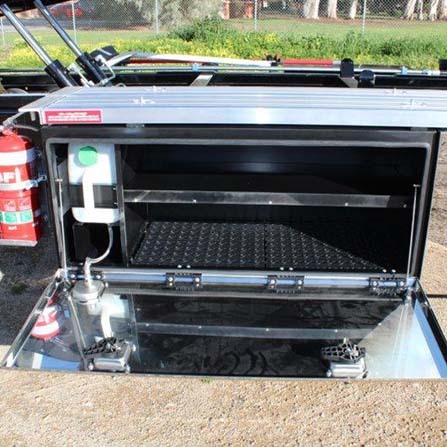 Options available for shelf or draw inside toolboxes. 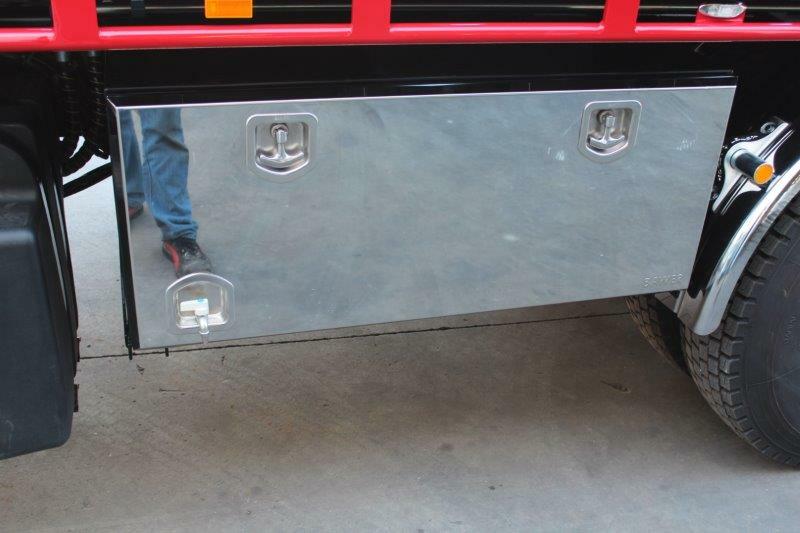 Headboard, available in different options to suit all requirements. 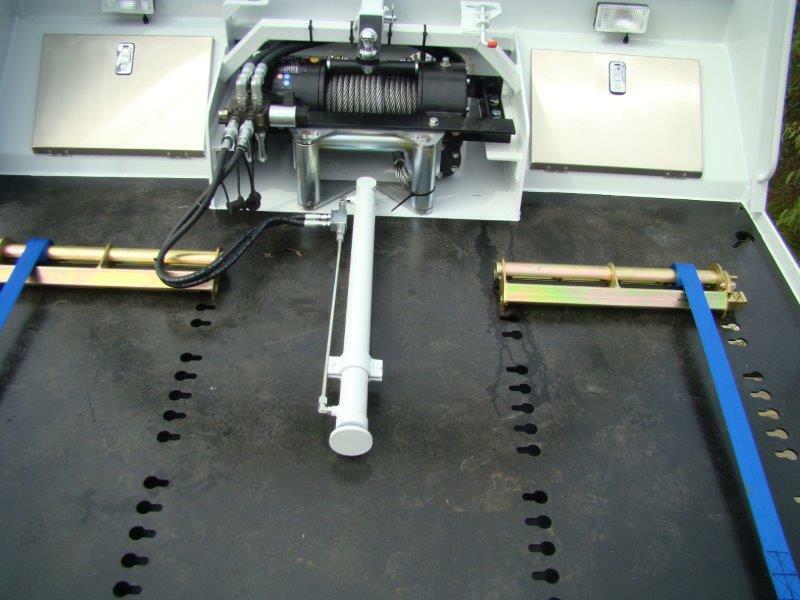 Container pins either flush with floor or with raised 6mm above the floor with full length wear strips. 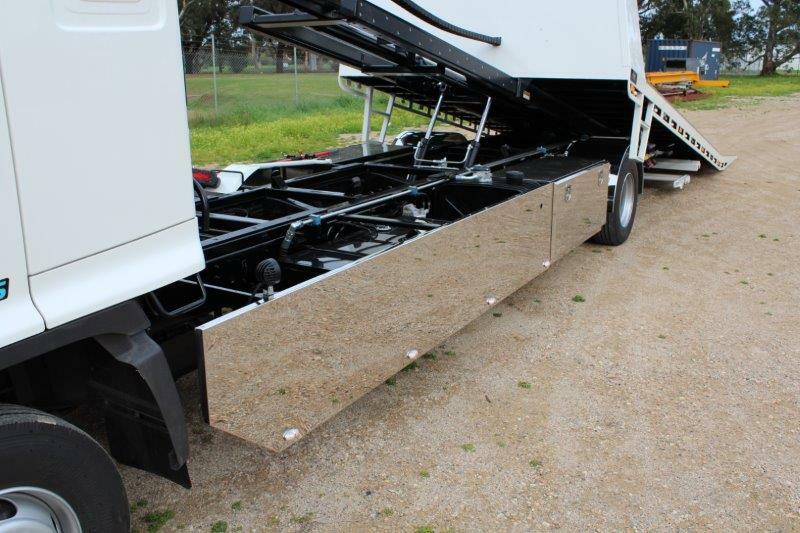 All include front guides and stops. 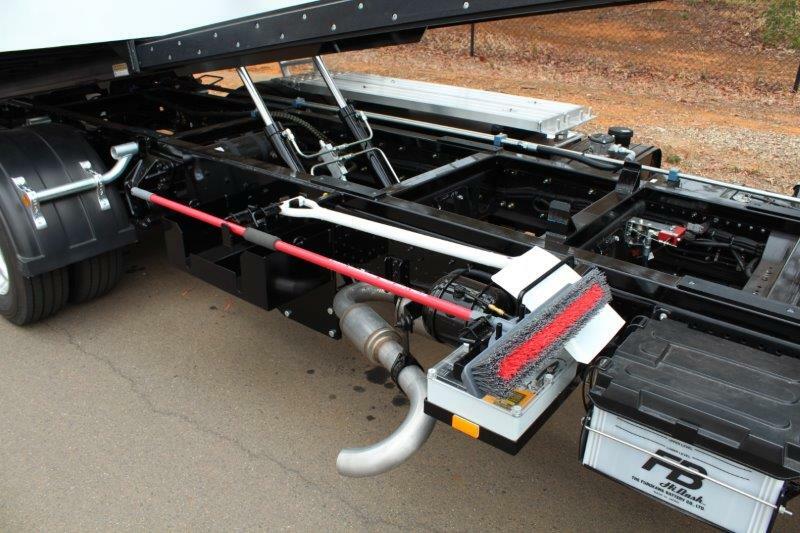 Auto Idle Up, enables the truck RPM to stay at idle until you are operating the tray, at this point the engine RPM will automatically increase. 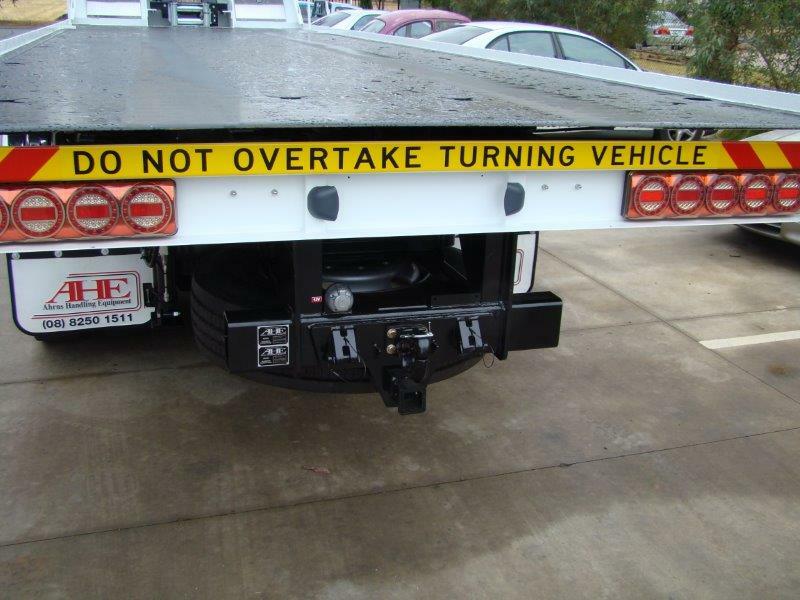 On trucks where this option is not available we can generally do a switched idle up from your remote and controls. 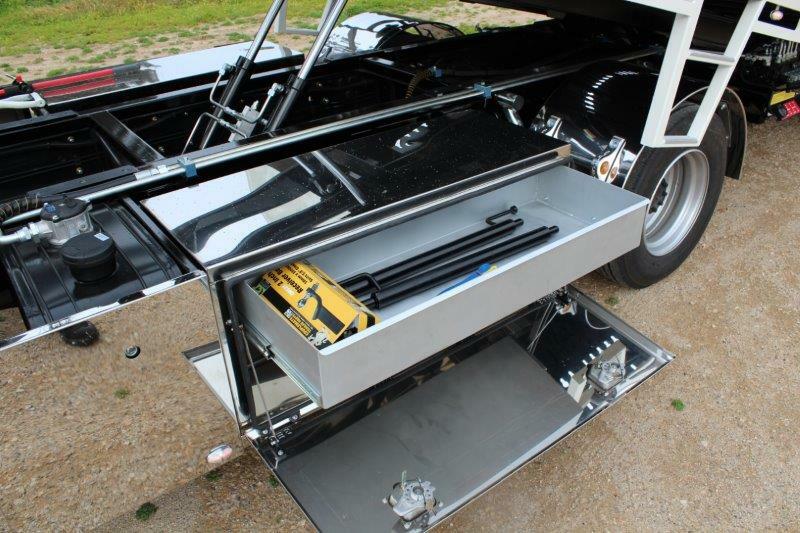 Winch upgrades available up to 30,000 lb. 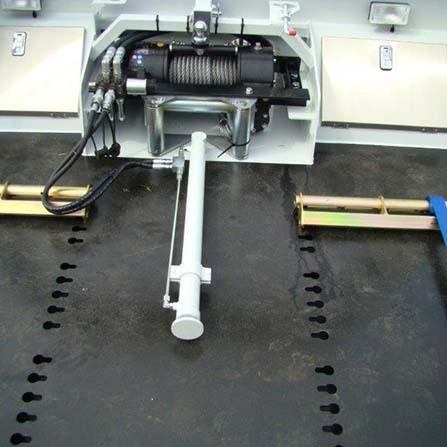 Cable Tensioner and air free spool for winch. 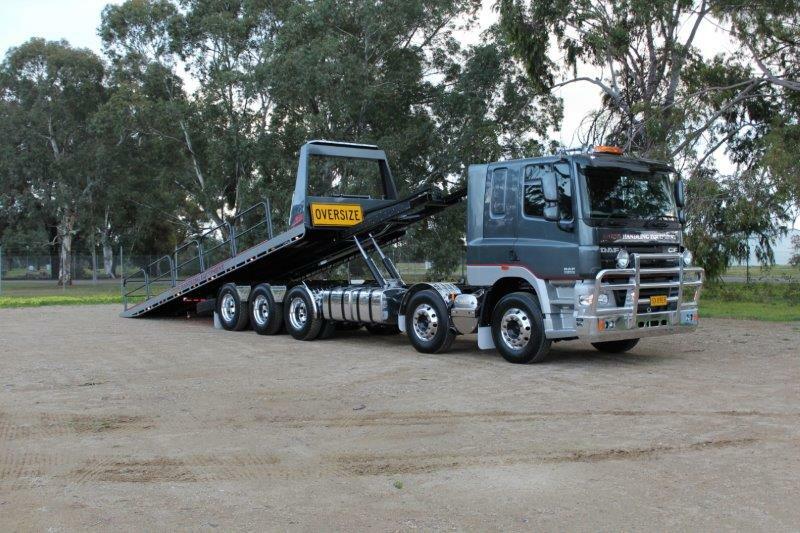 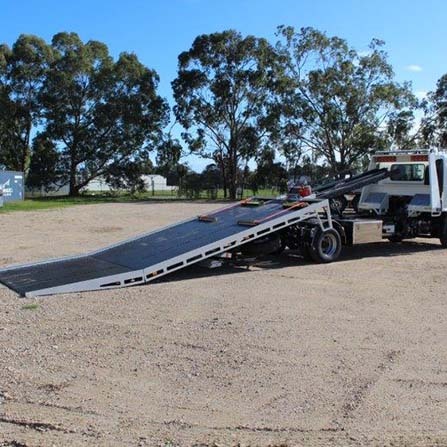 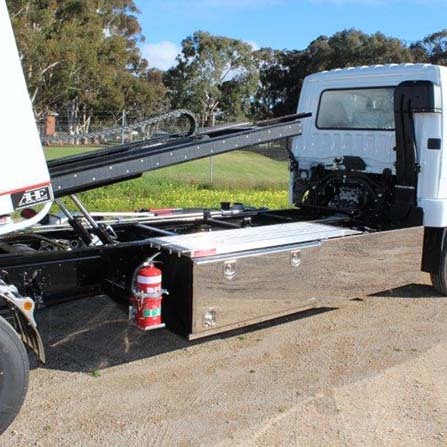 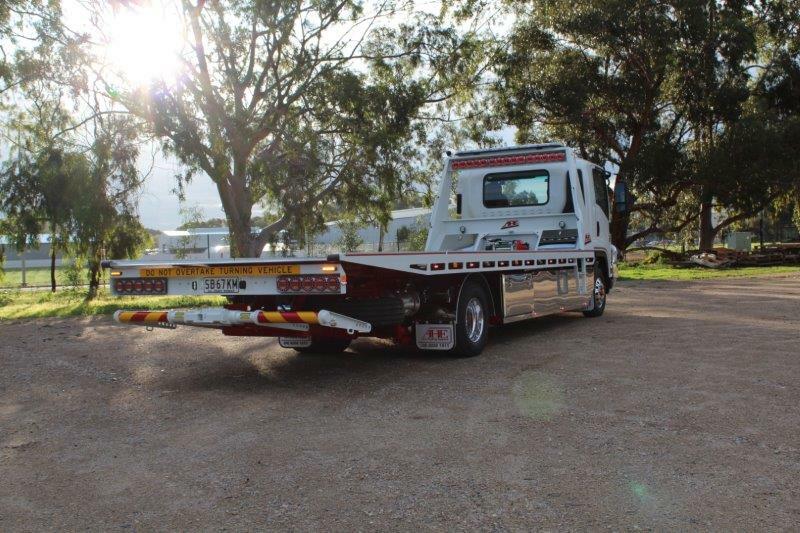 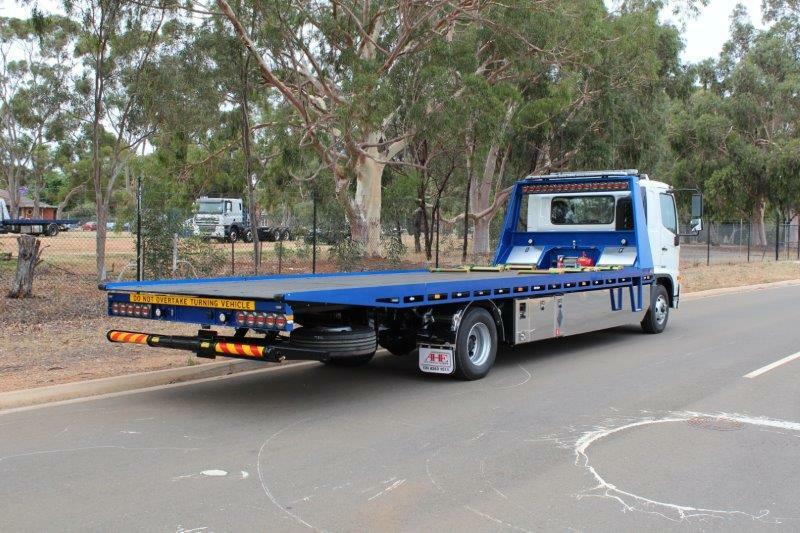 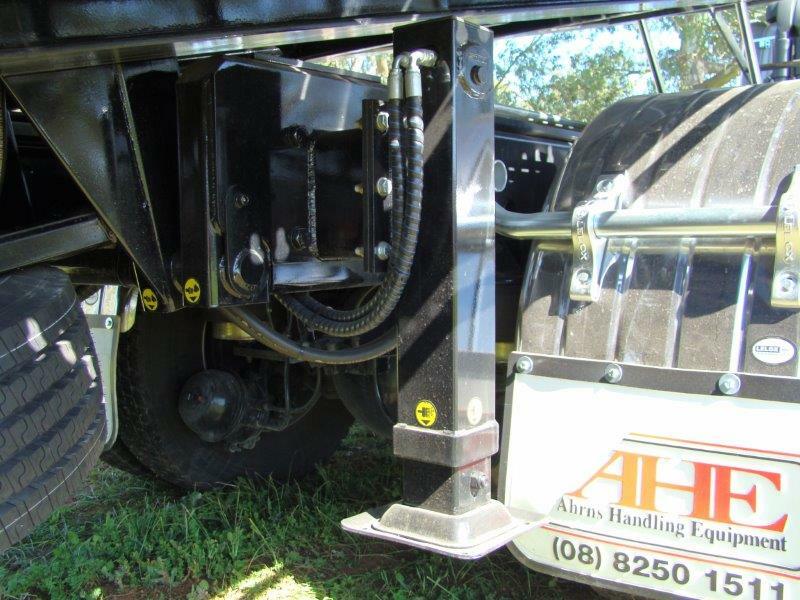 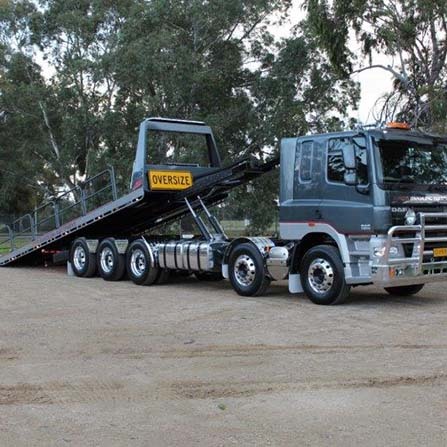 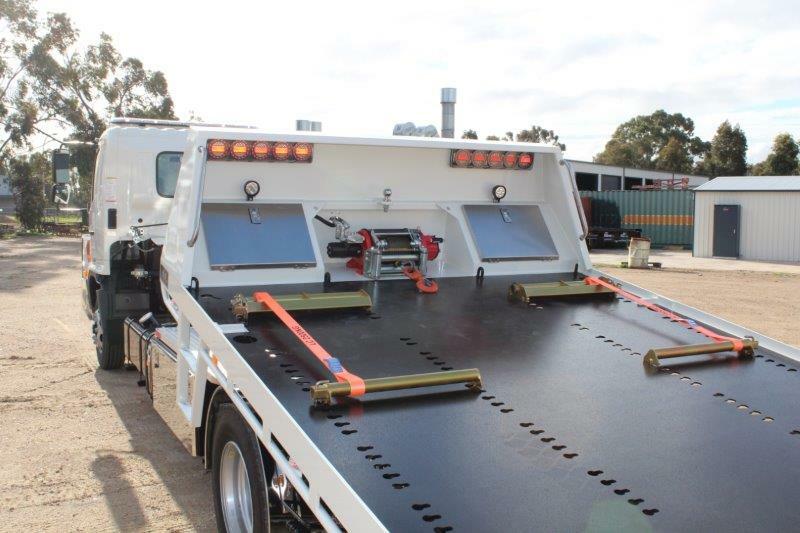 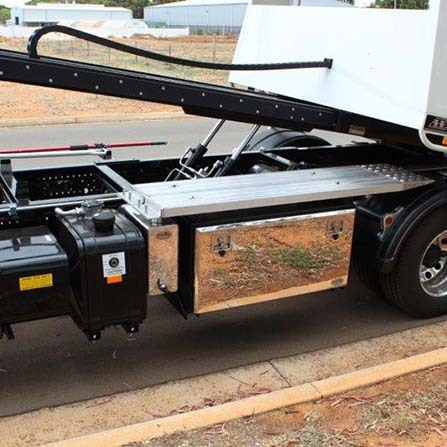 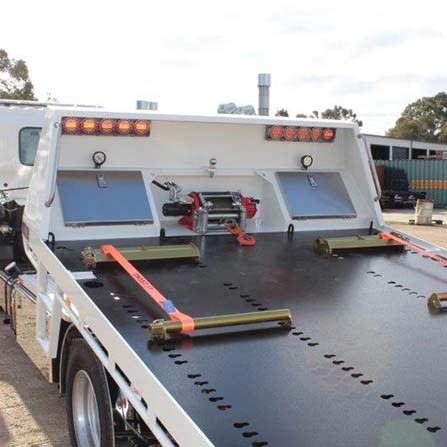 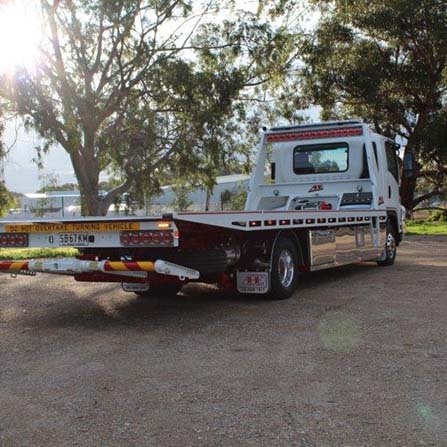 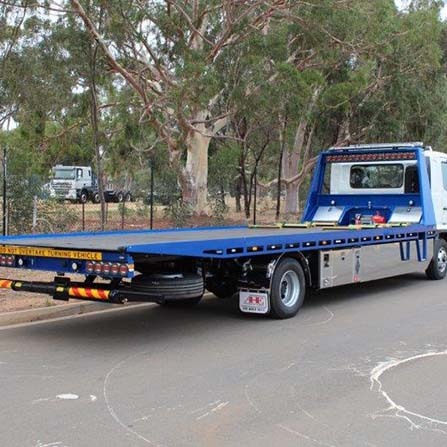 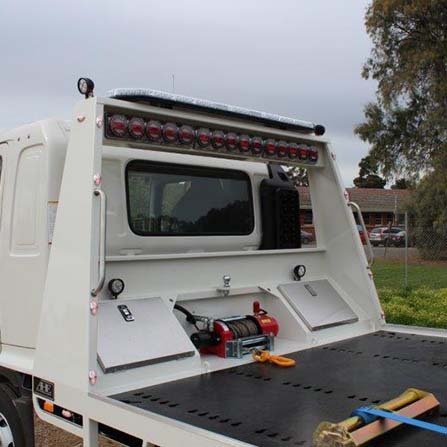 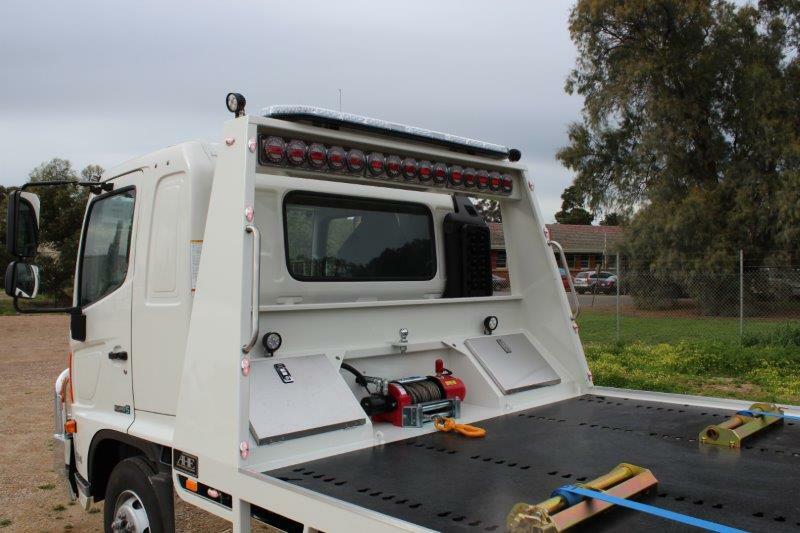 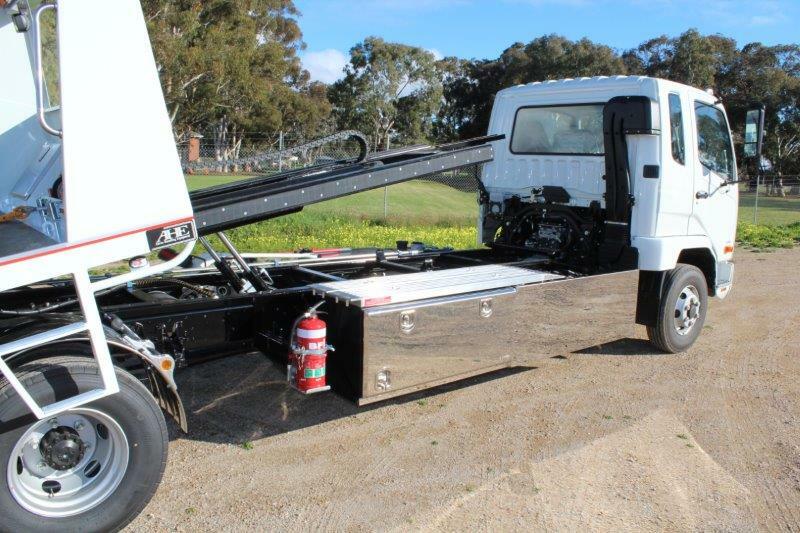 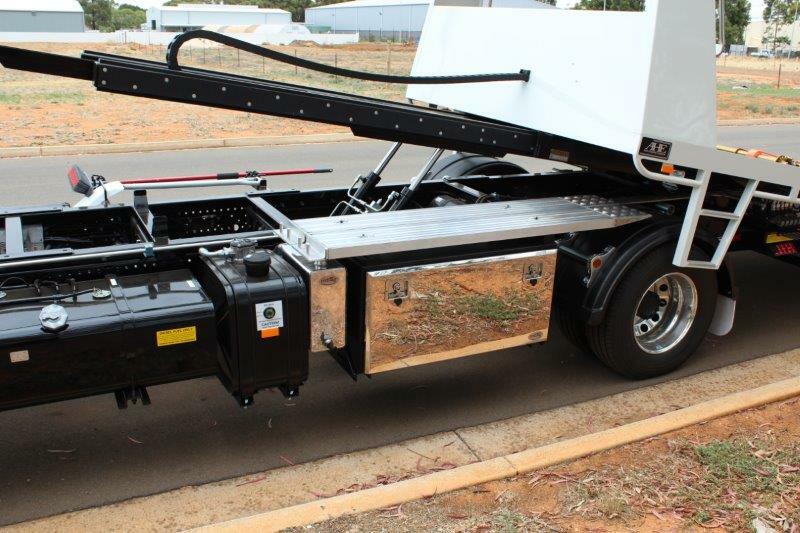 Ahrns Handling Equipment Pty Ltd is located in Adelaide, South Australia and manufactures transport and workshop equipment. 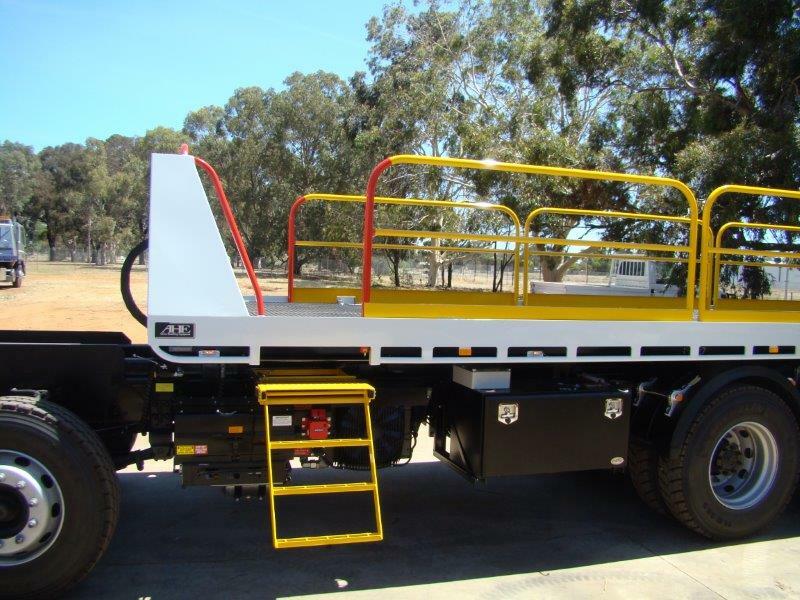 AHE specialise in Tilt Slide trays and is able to supply and fit a tilt slide tray to suit any size truck, we are even able to source the truck for you and provide a complete package ready to go.